J&M Painting delivers the right solution for any painting project. Our thoroughly trained professionals employ the latest techniques and technology for any job, whether institutional, commercial, industrial or residential. Our services include surface preparation, coatings, water-proofing, facility maintenance and RRP. Established in 1983, J&M Professional Painting Corporation has been servicing New England for almost 30 years. Experienced, reliable and capable, we pride ourselves on exceptional customer service. In addition to conventional brush and roller application, J&M Painting has extensive experience with electrostatic painting, air and airless spray painting and Polomyx spray painting. 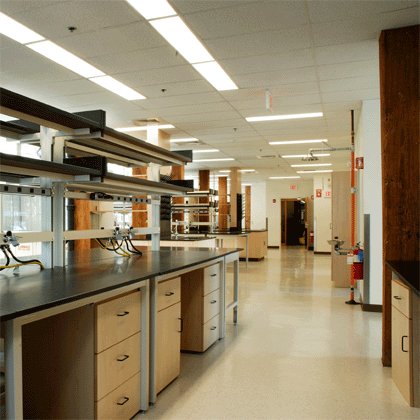 Our expertise spans office spaces, apartment buildings, research and pharmaceutical laboratories and retail spaces. Include us on your bid list!